AVL, TTTech and TUW met to discuss the current status of the automotive demonstrator. 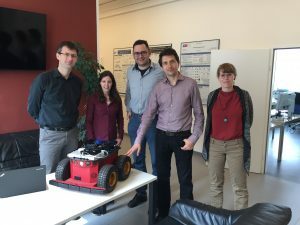 TUW’s mobile robot is now equipped with TTTech’s safety platform. I want to receive information regarding IoT4CPS and related topics.